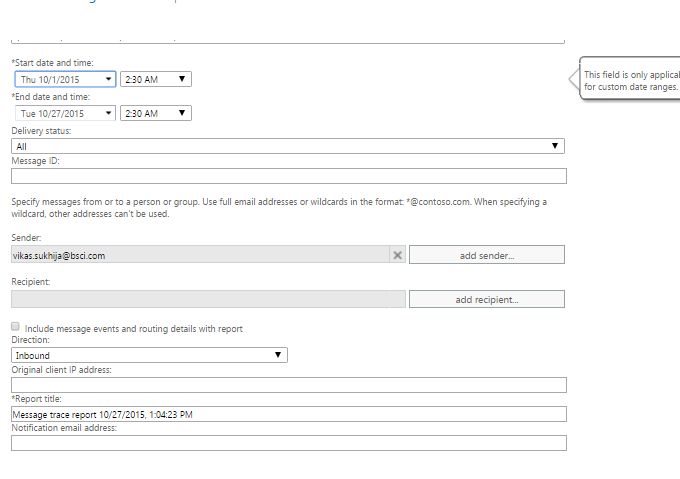 I am writing this post to share –>tracking of emails in office 365, Tracking thru GUI /Powershell as well gives very limited options, GUI doesn’t gives you option to track by message subject even. I must say options here are less as compare to tracking we are used to do in Exchange but we can utilize powershell to run message trace & script a bit. Thru powershell we can call following fields shown in screen shot, if you are searching for more than previous 7 days than your request will be submitted & you need to wait for the results. 90 day’s of worth traces are available, that sounds pretty much reasonable. You have to use mixture of options (powershell & GUI ) to get the result what you desire. When we go beyond 7 days than option is to submit the trace i.e. available thru GUI. 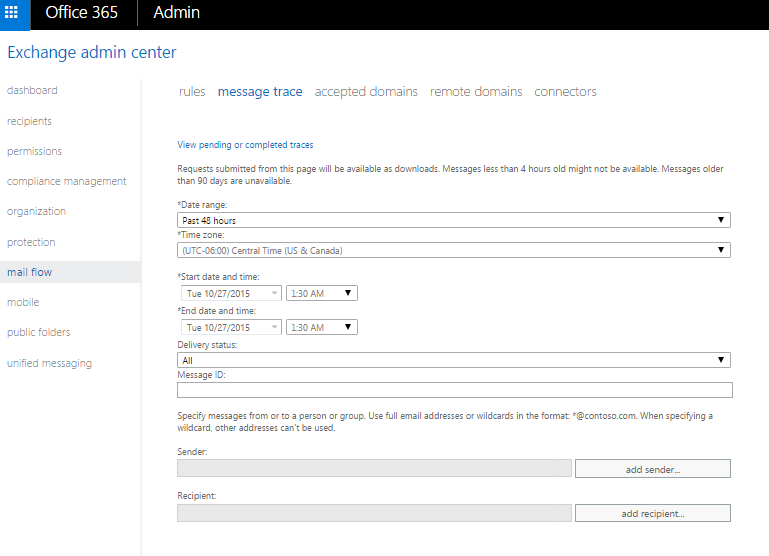 Let me know if you want to add anything or want to share something about Tracking in office 365.